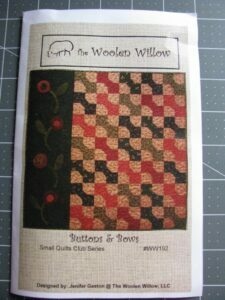 One of my goals this year was to try wool applique and this cute little kit from Primitive Gatherings seemed like a good beginner project. Four little wool flowers stitched to a cotton background next to bowtie blocks. I used two strands of DMC floss for the wool stitching, although for the next project I think I will try one strand. 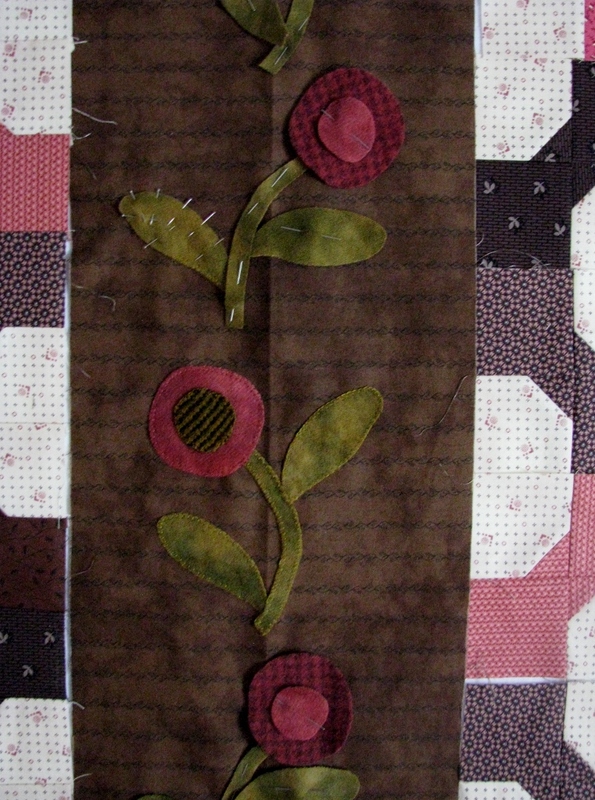 As you can see in the photo, I am using applique pins to hold the pieces in place. I stitched a sample wool flower using fusible web, but I didn’t like the feel of the needle going through the web. It is so smooth just stitching through the wool which I like better. Of course I laid the bowtie blocks out in a different pattern. 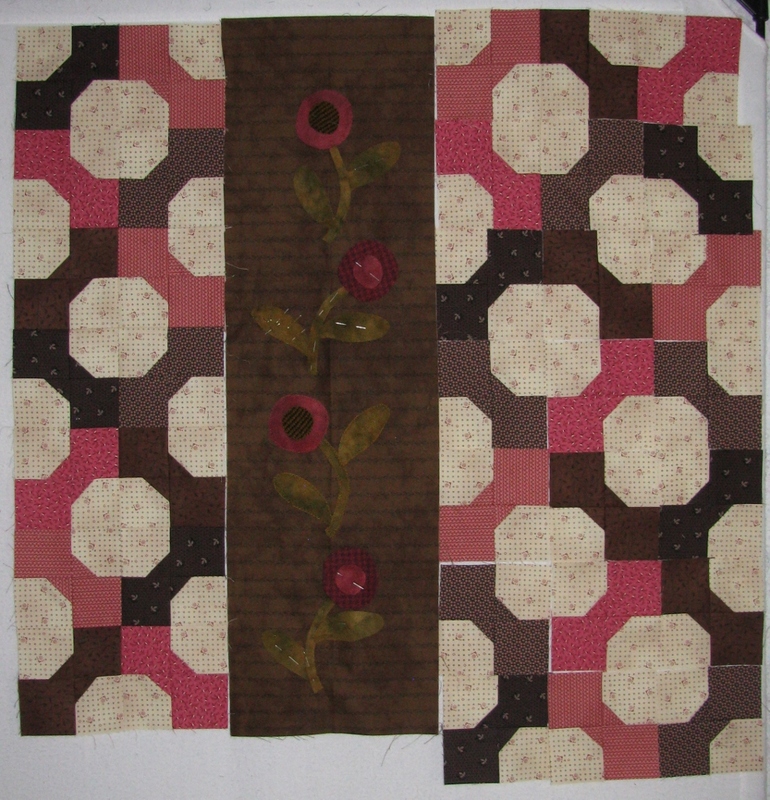 The finished wallhanging will be 27″ x 28″. 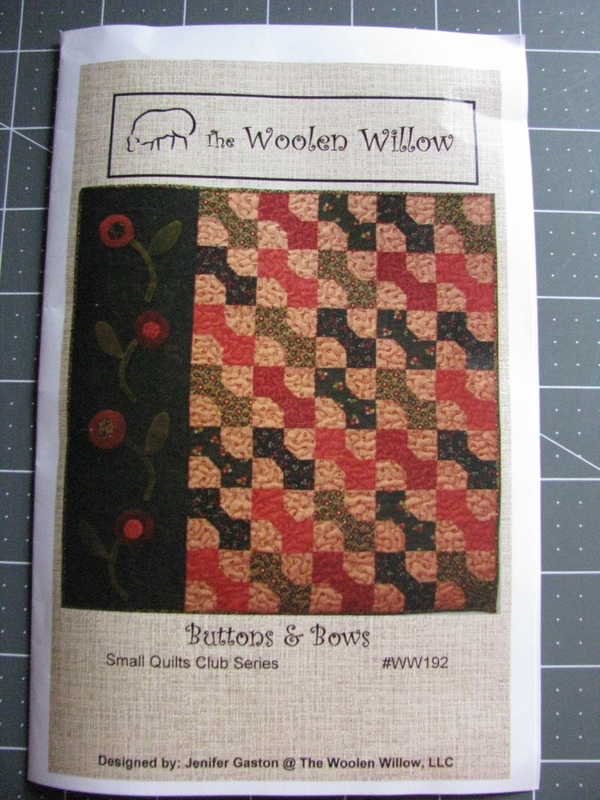 I enjoyed the hand stitching and can see some more wool applique projects in my future. But once this top is together I need to get back to my hexies.